I do think she's playing republicans though. 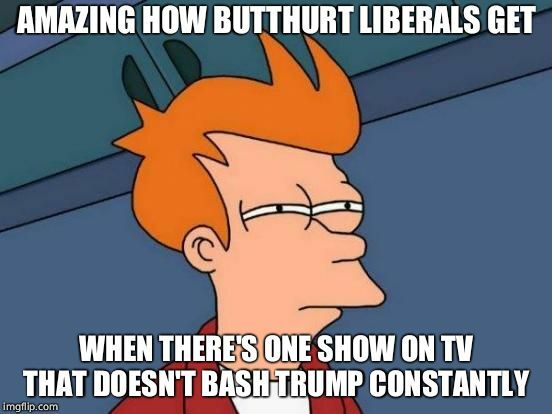 IT JUST OCCURRED TO ME THAT TRUMP SUPPORTERS FIND IT DISGRACEFUL TO KNEEL DURING THE NATIONAL ANTHEM... ... 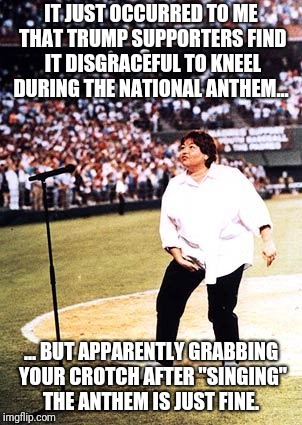 BUT APPARENTLY GRABBING YOUR CROTCH AFTER "SINGING" THE ANTHEM IS JUST FINE.